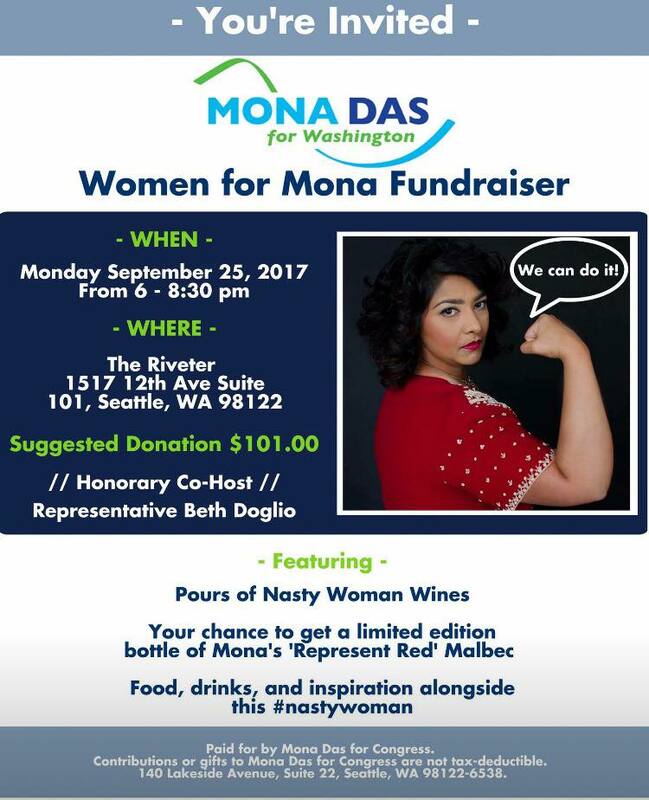 Please join us for a fundraising event to support Mona Das’ marathon for congress in 2018! The event will feature opportunities to taste Mona's "Represent Red" Malbec from "Nasty Woman Wines"
We hope to see you there to enjoy food, drinks, inspiration and Mona-vation at the locally renowned female co-working space The Riveter! Bring a friend and help spread the word!